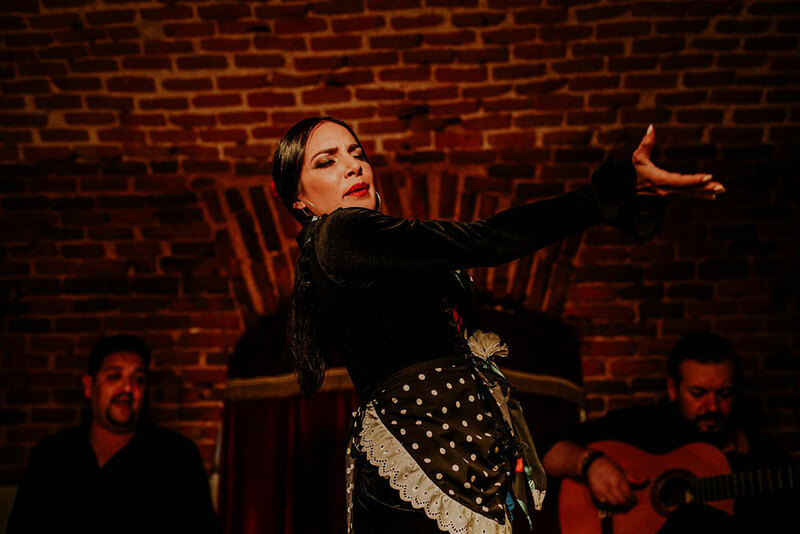 The tablao Essential Flamenco carries out its activity in the vaulted brick basement of the famous ‘Sala Torero’, at number 25, Calle de la Cruz, right in the heart of Madrid. It’s the most active area in the city as far as entertainment, art and culture. 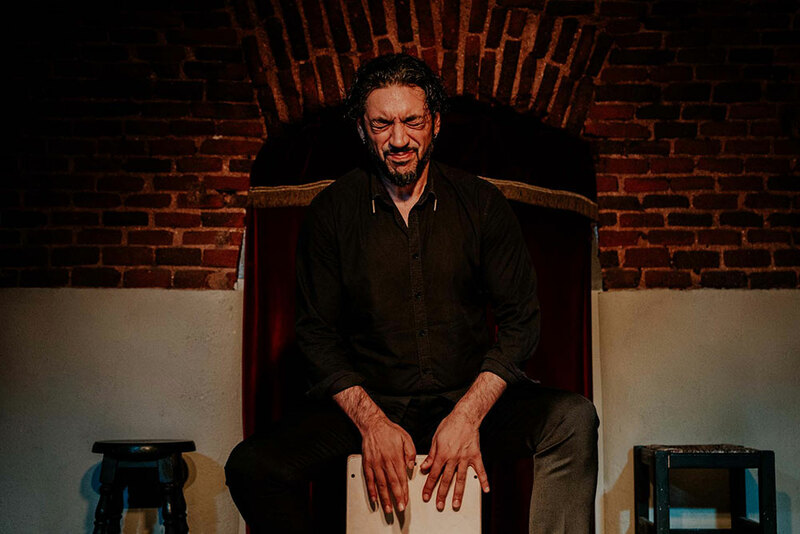 Juan El Mistela, artistic director and dancer at the venue says: “We want to present flamenco without fake adornment”, reinforcing the idea of offering authentic flamenco, with no window-dressing: a kind of flamenco that is direct and intimate. The room is small, holding 60 people, a brick cave with magnificent natural sound. There are no microphones or amplification. 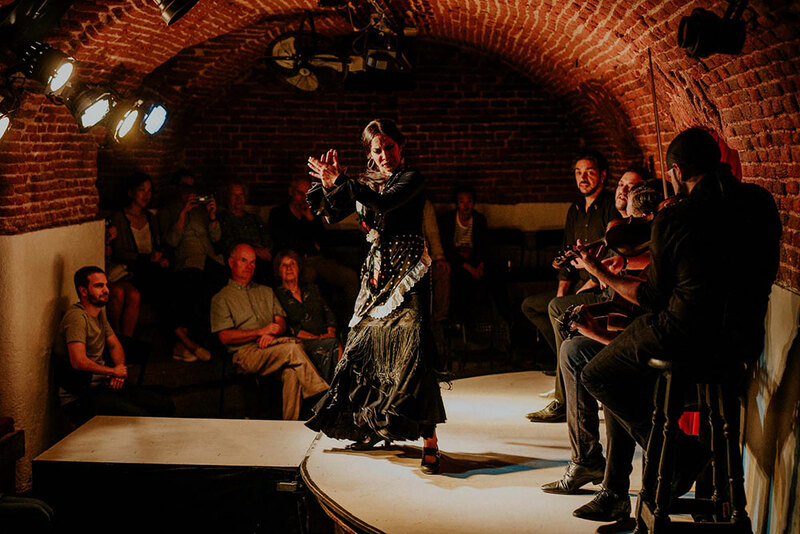 The artists perform on a small stage in the center of the room with spectators less than one yard away. 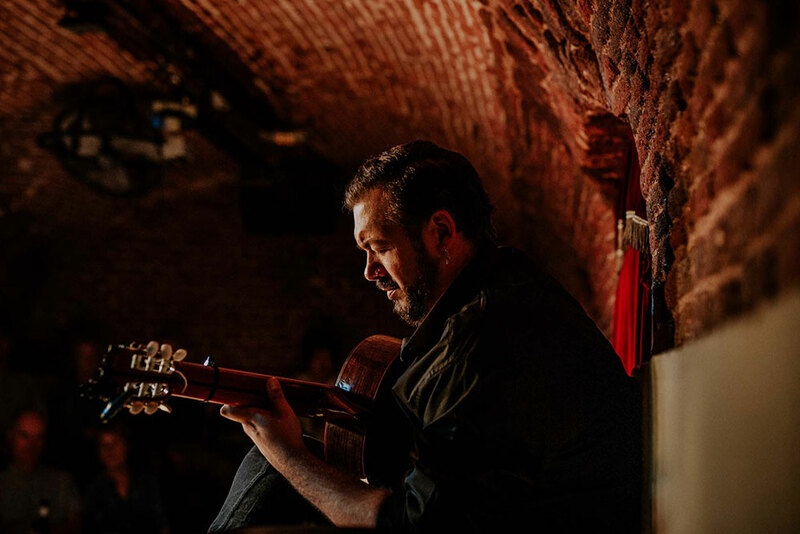 This allows emotions to be transmitted in a direct fashion, it’s living breathing flamenco. 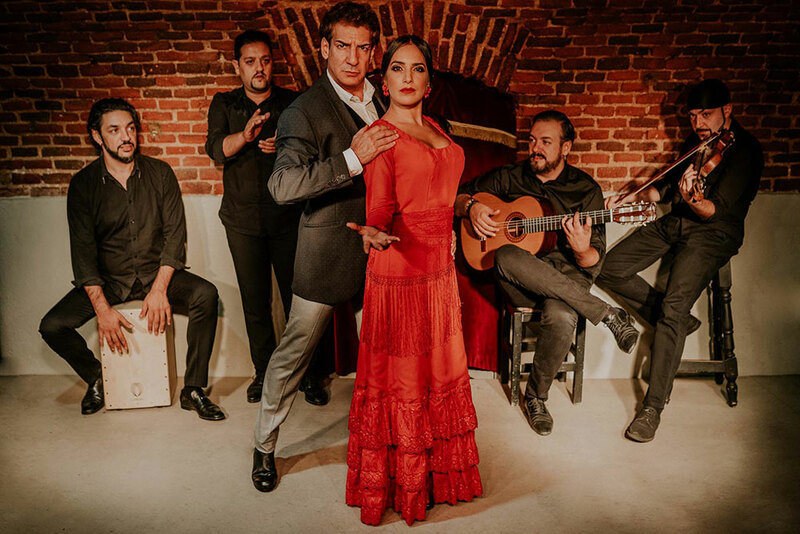 The audience feels included, part of the party, and authentic flamenco immersion takes place. 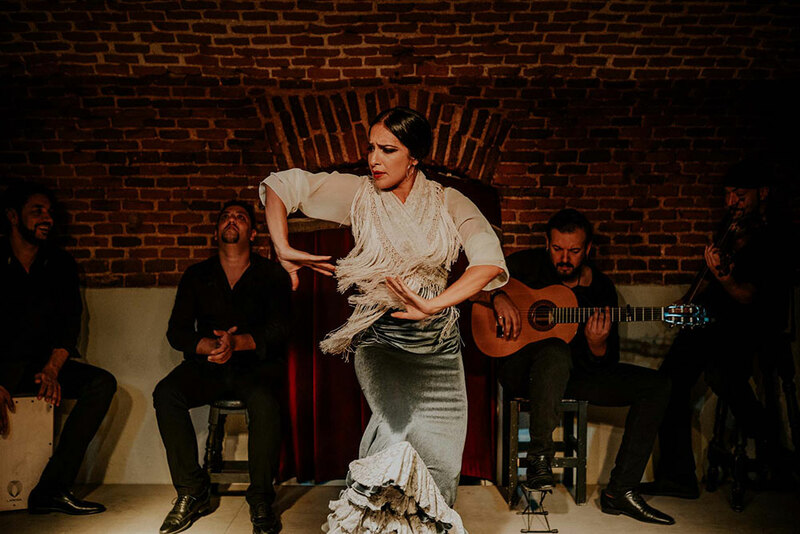 The flamenco dance show is well-presented and designed by Seville dancer El Mistela, holder of the National Prize for Flamenco Dance. There are two shows of 60 minutes each, at 8:30 pm and 10:00 pm. 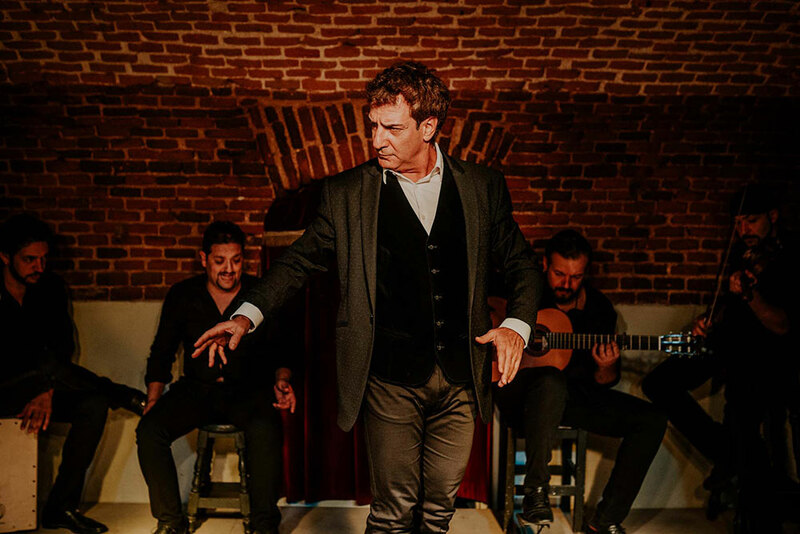 The flamenco group or “cuadro” is permanent, led by dancer El Mistela, with dancer Carmen La Talegona and Illeana Gómez, singer El Piculable and Saúl Quirós, with Iván Losada on guitar, Lucky Losada on percussion and the always warm sound of Fernando Rico and his flamenco violin. 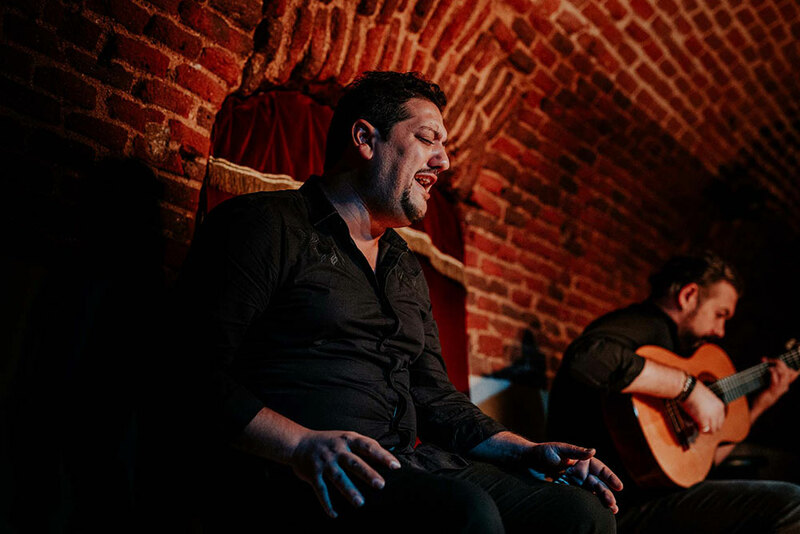 All these individuals are prestigious recognized artists with a great deal of experience in the world of flamenco. A drink is included with the price of admission, but no food is served in order to preserve the silence, attention and respect this art requires. Take note! There are special offers for residents of the neighborhood or of Madrid. 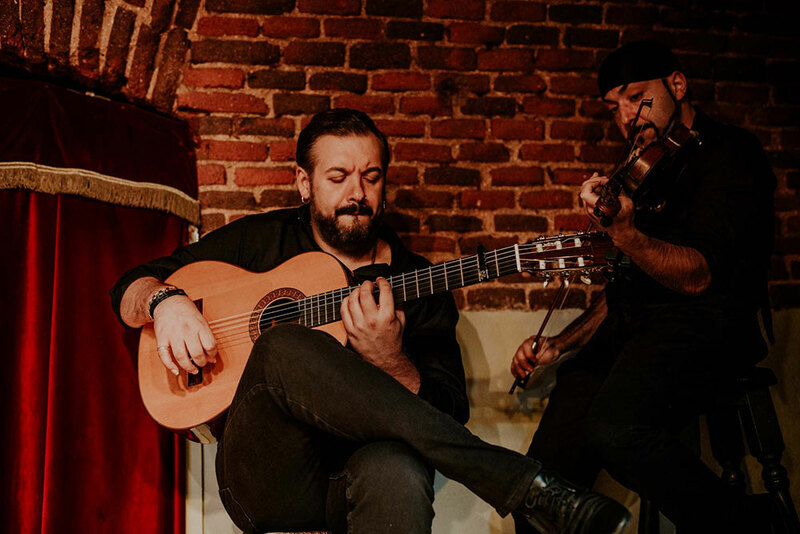 You can check social media, there’s always a good opportunity to discover the flamenco atmosphere to be found each night at Essential Flamenco.